Learn how to make money when stocks go down. The primary objective of this training is to increase your options and flexibility as a trader. It really is as simple as that. The vast majority of traders only reach 50% of their true profit making potential due to the fact they decide to only play the “long side” of stocks/options/currencies/etc. When using this thought process, they are limiting themselves to only half of what the market has to offer. The more knowledge and strategies you possess in your tool box, the more options you have, and the more options you have, the more flexible you are in an always changing market. If the markets were a place where things never changed, then being flexible would not matter. With that being said however, we all know the markets are the exact opposite of a “place where things never change”. Shorting for Profit teaches you how to master the art of the short, giving you a sincere 360 degree view of the markets. If a stock price goes up, great, hop on the “long side” and profit. If you then believe that same stock is about to go down, hop on the “short side” and profit. “This” is what the name of the game is: profiting no matter what direction prices are going. Shorting for Profit does NOT waste your valuable time with “theories” and “thoughts” of shorting. The training goes well beyond this and teaches you FIVE actual short trade strategies… in detail! When teaching the above FIVE strategies, there are no broad explanations that leave you with the feeling of being incomplete. 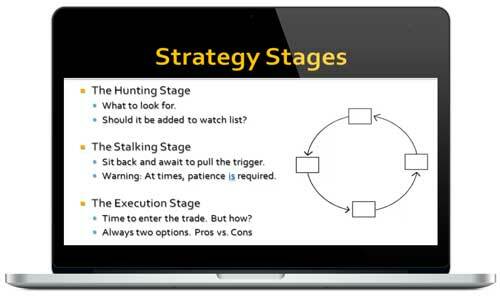 All the strategy tactics are taught stage-by-stage in a very logical and easy to understand presentation. You now need to wait for the price to act how the strategy says it should behave. If the price does not behave accordingly, you simply move on. You never entered the trade, so no money lost. 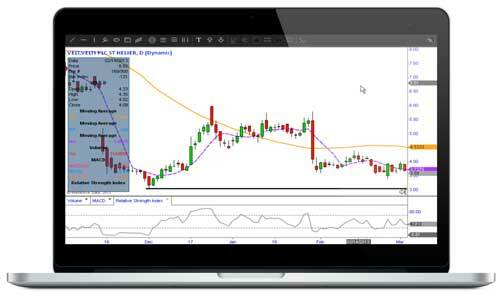 Enroll today and get instant access to the "Shorting for Profit" subscription. This is entirely available online with the user name and password you will create during checkout.